Focusing on family health and wellness as a nurse goes beyond general recommendations to stay active and eat well. 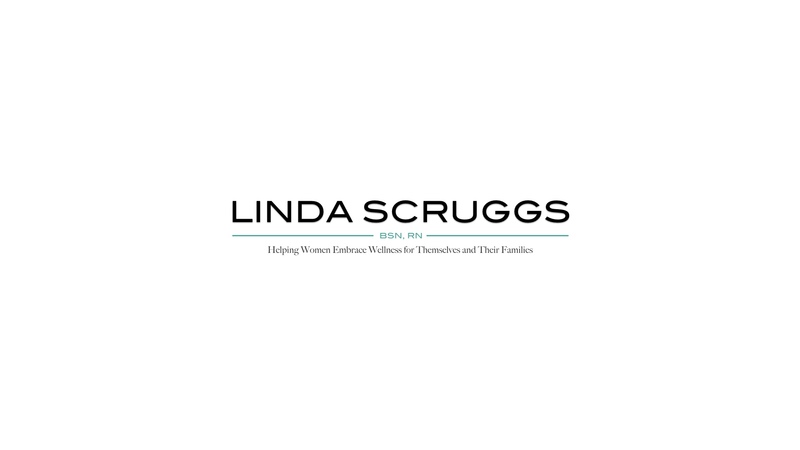 Our well-being as women, as moms, family ringleaders, and partners has to include quality time to reconnect with those who mean the most to us. 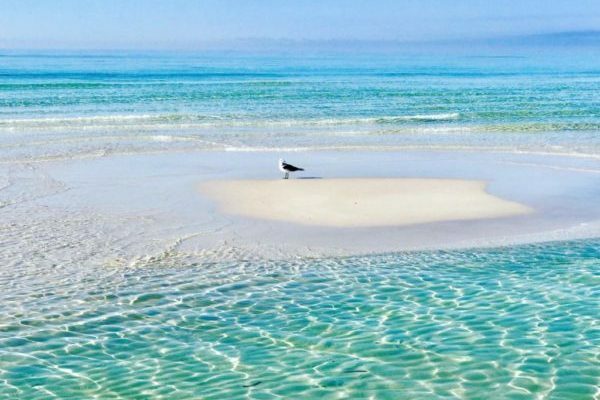 There is no place better for wellness travel to recharge our body, mind, and spirit than a perfect off-season beach getaway to Florida’s Emerald Coast. 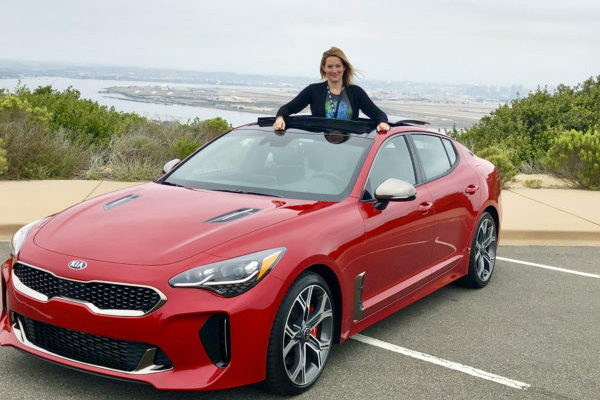 This was a hosted stay and experience through ResortQuest by Wyndham Vacation Rentals at TOPS’L Beach and Racquet Resort, and a hosted meal at Bud & Alley’s. 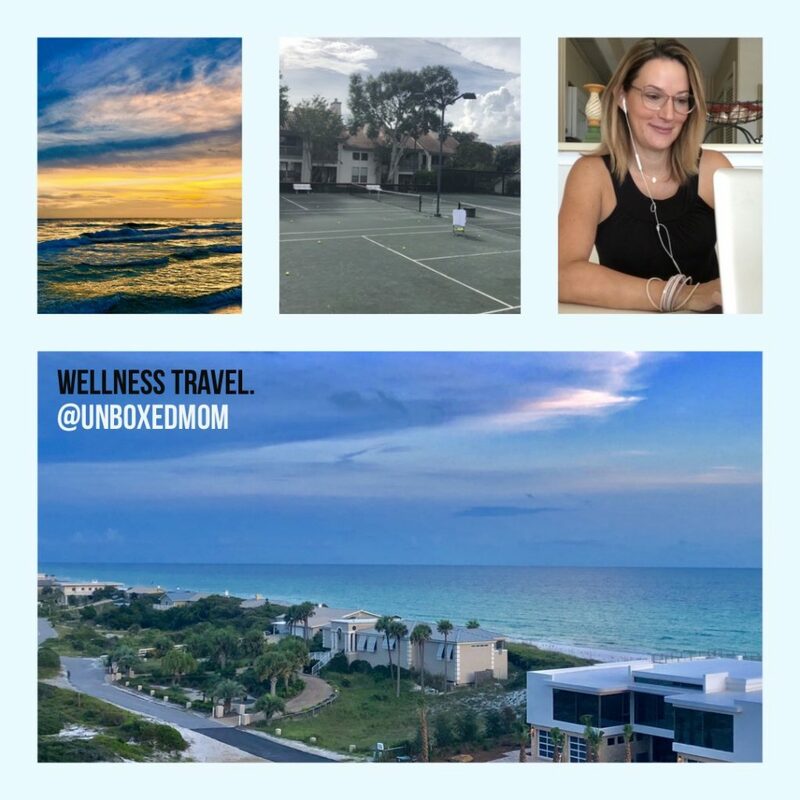 Self-care and wellness are exactly what I discovered during my visit along with sugary white sand, sun, and amenities at TOPS’L Beach and Racquet Resort. 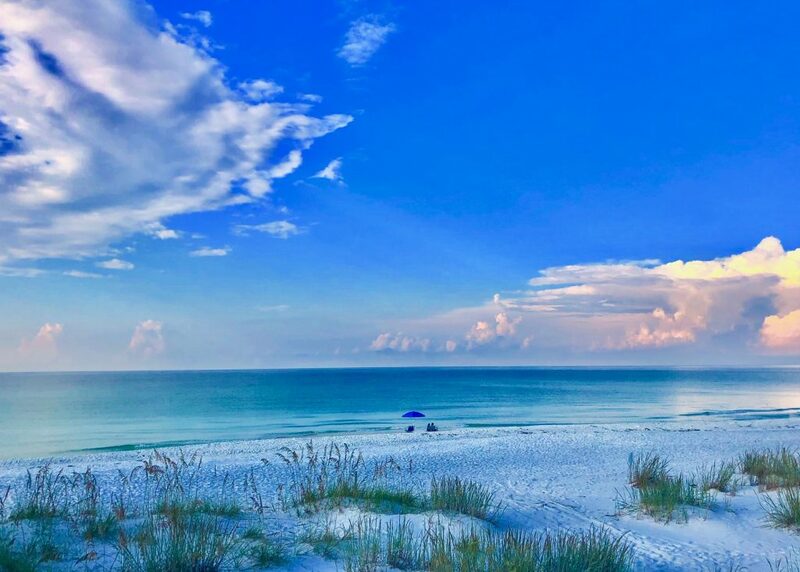 It’s a healthy dose of Vitamin “Sea”, with salty, clear water along Florida’s Emerald Coast, but what makes this resort special and perfect for me to travel solo, with my kids, or with my extended family? It’s a laid-back, well-maintained, perfect location, along with top-notch tennis and fitness facilities, poolside tiki bar, and pools. From TOPS’L Beach Manor, I was able to get on Wi-Fi and work while enjoying the gorgeous coastline view. 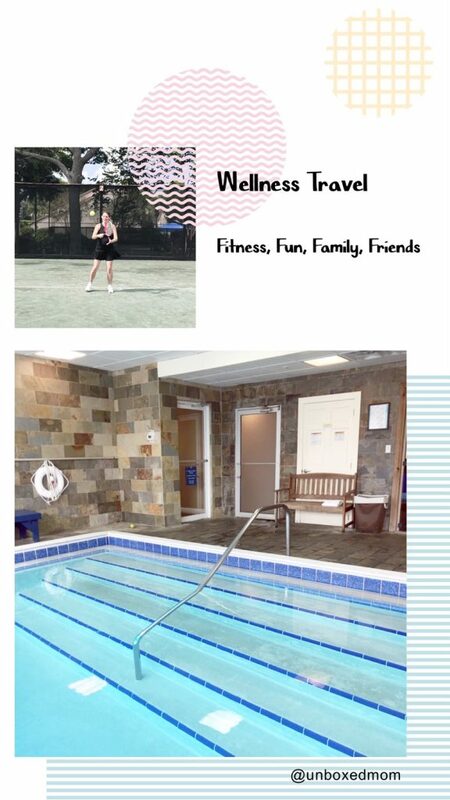 After hours of work, I played some tennis, and then relaxed in the sauna, steam room, and jacuzzi. Feeding my travel soul means seeing beautiful sites, meeting new people, and collecting images for my internal treasure box. Working in the corporate world and as a nurse in Manhattan, I spent years arriving at work before sunrise and getting back to my apartment after sunset. Caring for patients and having seen how quickly our health can change, I adopted a simple belief to #travelwhileyoucan. I share a lot on social media and encourage family talks about taking the trips, create a vision board, write down a travel bucket list in a planner, and then do it. 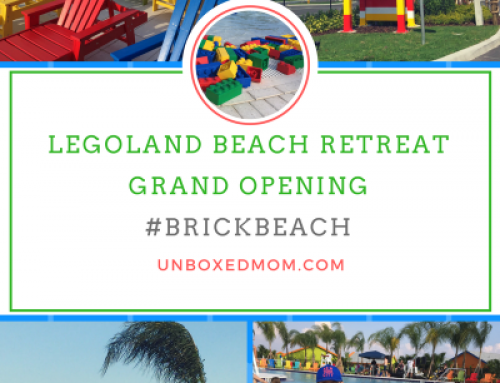 Take the long walks at sunset, let the kids play all day, spend hours at the beach, and enjoy meals together. After all, doesn’t food taste better at the beach?! My favorite dining experience during my visit was the rooftop bar at Bud & Alley’s. 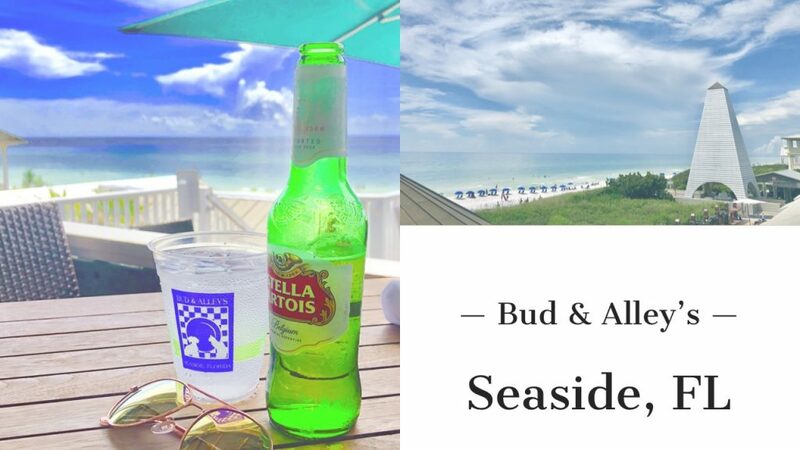 It overlooks the Gulf of Mexico in the heart of Seaside (the town where The Truman Show was filmed) on 30A. Often times, I can be skeptical when a restaurant offers a “signature dish”, but Bud & Alley’s perfect to-die-for crabcake did not disappoint. Large, flaky, full of flavor and perfect consistency with just the right amount of crab, lemon, and seasoning made me a believer. Within ten minutes, every bite was gone. This is a menu item that I would highly recommend and I’ll be ordering it every time. 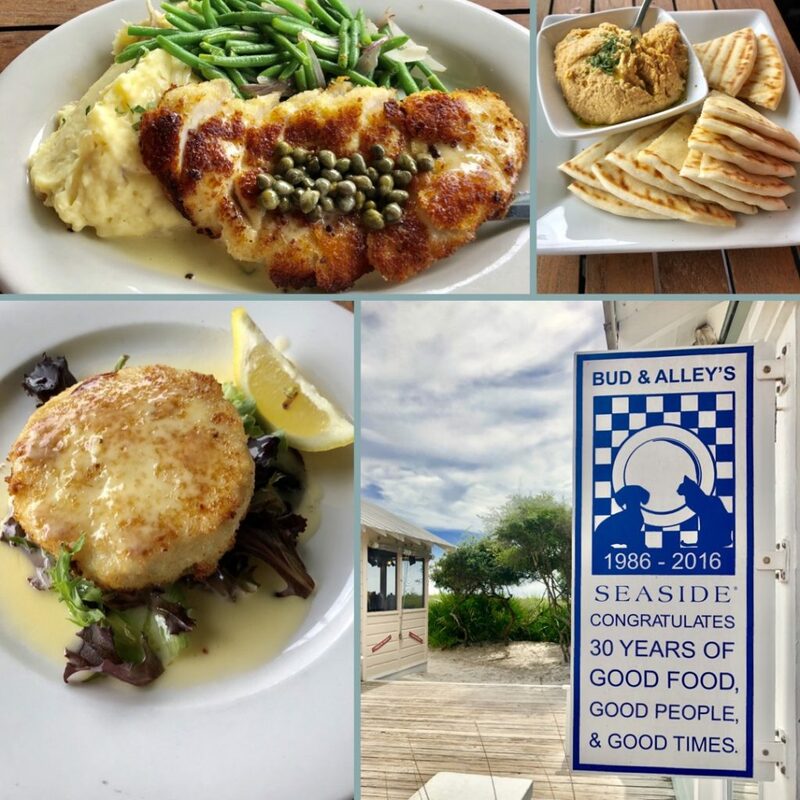 Bud & Alley’s farm- and sea-to-table dining includes casual food options overlooking the Gulf, too. This Sicilian girl and my appetite will be ready to try The Pizza Bar‘s wood-fired artisan pizza pies along with another favorite, the Taco Bar‘s fresh flavors, and funky vibe next time I visit. 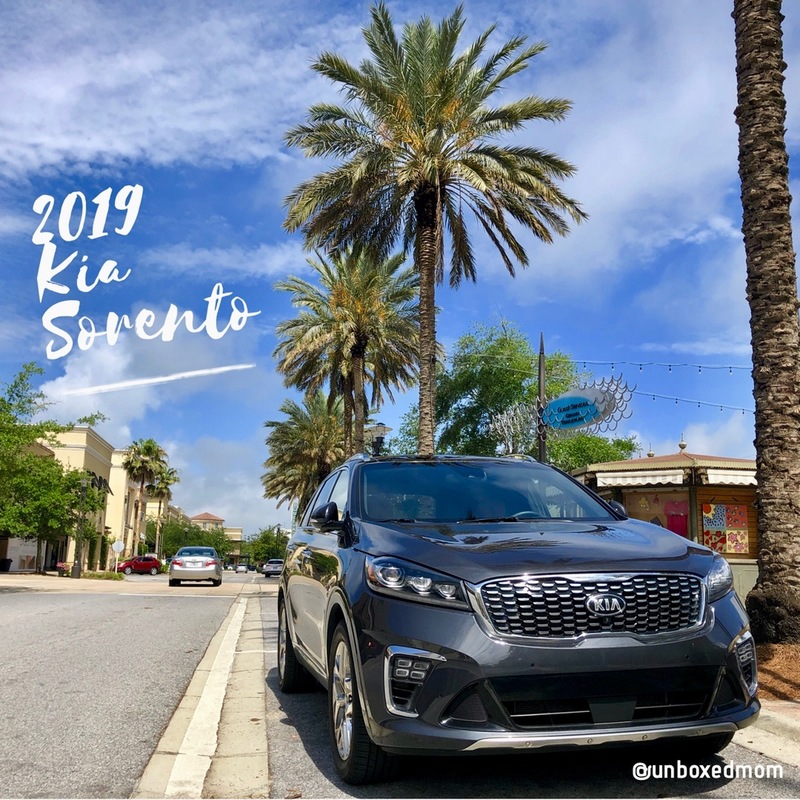 One of my favorite ways to go anywhere and find a great deal is during off-season travel. It’s less crowded, not as hot, and it’s more relaxed. 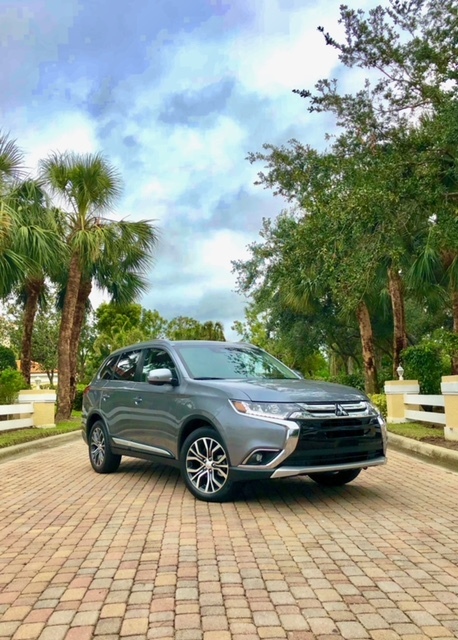 The easy way to find a great deal that you can feel secure about is by going through ResortQuest by Wyndham Vacation Rentals. 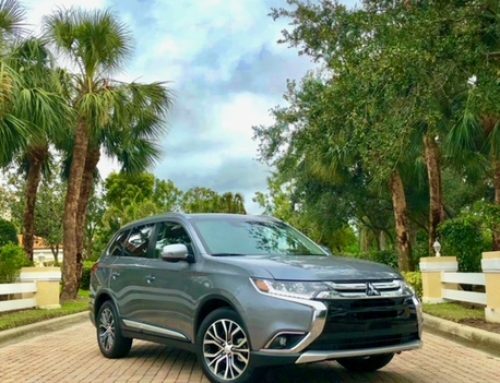 A local leader in vacation rentals since the 1970’s along the Northwest Florida Gulf Coast, you can find perfect accommodations to fit your travel needs for yourself and your family. 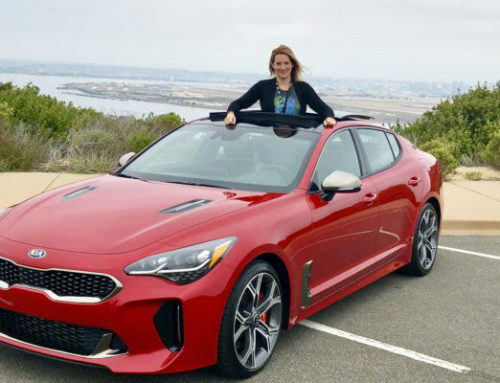 Read more to find the link below. I’ve used the ResortQuest website twice to personally book trips and discover hidden travel gems. 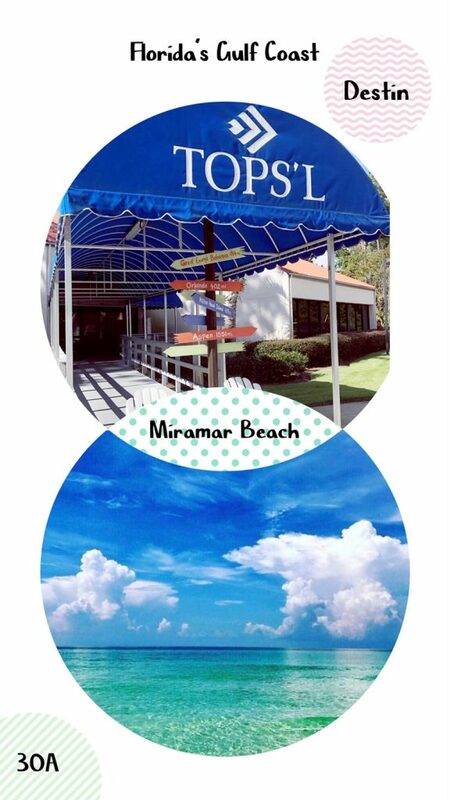 TOPS’L Beach and Racquet Resort is a family favorite for the variety of accommodations and sizes of the units. Grandma can use the full kitchen, enjoy the views, and appreciates the accessbility. 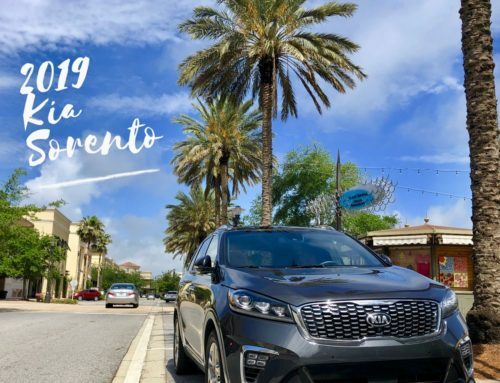 She also loves that it’s a two-minute drive with shopping and dining all around the Miramar Beach and Destin area. My favorite as an active mom with two young kids? 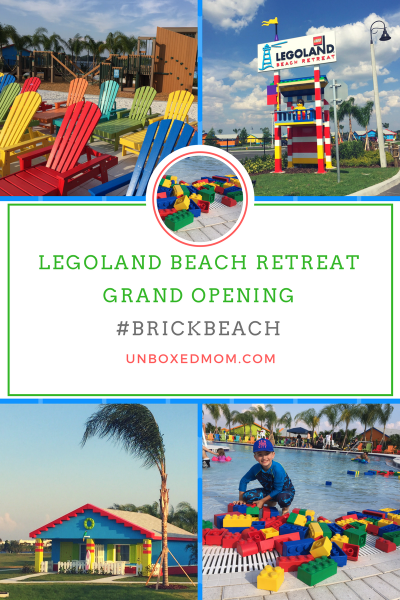 I can’t wait to get back to enjoy paddle board rentals, more tennis, racquetball, fitness, massage therapy, and gulf-front dining. 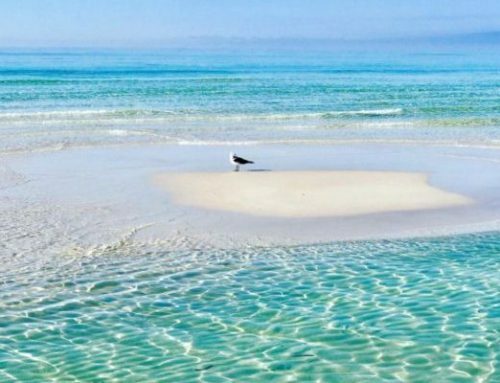 Here’s where you can find your perfect off-season beach getaway along with a few perks. ResortQuest guests have exclusive discounts on area attractions, excursions, shopping, dining, and everything else from keytothebeach.com. For friends interested in staying at TOPS’L Beach and Racquet Resort, here’s a promotion for you. Through the rest of this month, save up to 20% off low fall rates on a two-night stay, use Promo Code SERENITY. Here’s a direct link to stay at TOPS’L: http://bit.ly/2O9Cz8o . 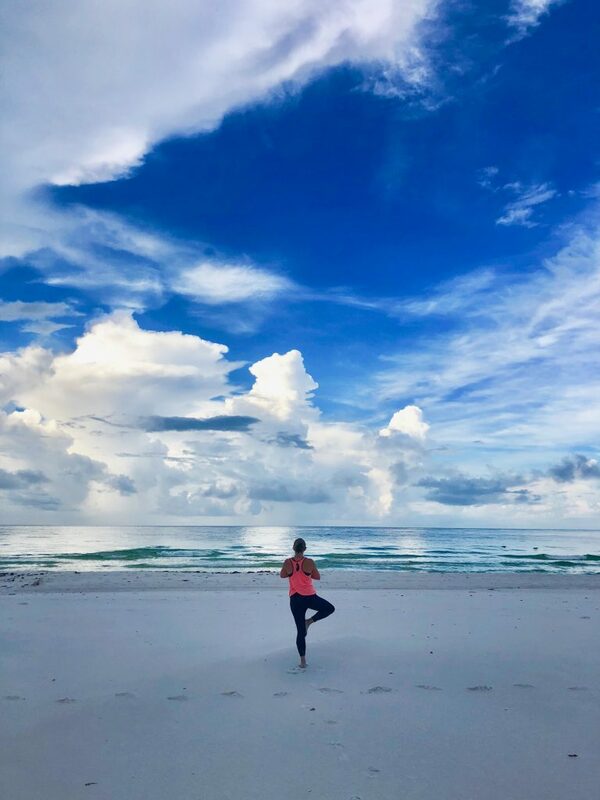 For myself and my kids, whole body wellness is a priority, and nothing stirs us more than visiting the eco-friendly, pure family-fun beaches along the Emerald Coast of Florida. 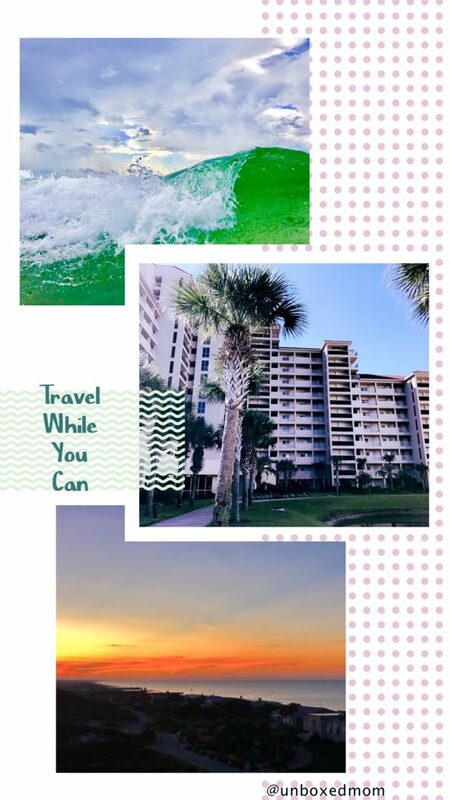 This was a hosted stay and experience by TOPS’L Beach and Racquet Resort and ResortQuest by Wyndham Vacation Rentals. Thank you to Bud & Alley’s for a delicious hosted meal. As with all posts, this is 100% my own opinion and honest.